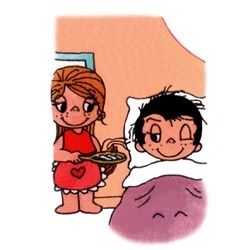 Love is... waking him up with the smell of a wonderful breakfast on Sunday morning. - Love Is (Любовь Это). Оригинальные комиксы "Love Is".